The proposal was voiced by Speaker Atef Tarawneh after a meeting of the Jordanian parliament’s lower house earlier in the day. 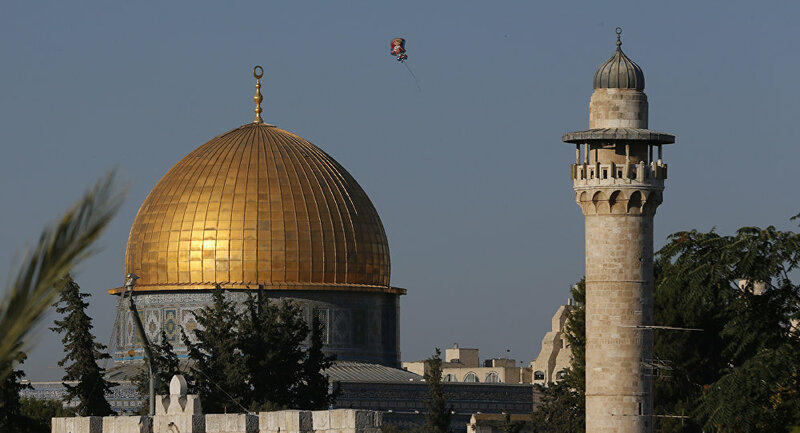 The lawmakers also demanded that the government appeal to the United Nations and the Arab League for urgent measures to protect the mosque, which is considered the third holiest site in Islam, from Israel. The situation around Al-Aqsa Mosque escalated on Tuesday after the Israeli police sealed the mosque and the neighboring compounds in the Old City of Jerusalem in response to what they said was a firebomb hurled at a police station at the site. As a result, clashes erupted between officers and worshipers. On Sunday, an Israeli court ordered the closure of Al-Aqsa Mosque compound’s Rahma Gate — a move that has already been condemned by Palestine and Jordan, a current custodian of Muslim sacred sites in Jerusalem. Lawmakers from a Palestinian faction of the Jordanian lower house similarly demanded expulsion of the Israeli ambassador in February, following another escalation around Al-Aqsa Mosque. Al-Aqsa mosque, which is situated close to both Christian and Jewish holy sites, has been one of the flashpoints of the Israeli-Palestinian conflict. The mosque is a part of the Temple Mount area which has repeatedly seen violent confrontations in recent years between Palestinian worshipers and Israeli servicemen.